It is tough to do business with Mayawati. Any political party that wants a tie-up with her Bahujan Samaj Party (BSP) is left guessing for answers to the big question: What does Mayawati want. State elections are round the corner to be followed by Lok Sabha polls and time for her party to be factored into any political equation, like it or not. The surprise alliance with Ajit Jogi’s Chhattisgarh Janta Congress, deliberately upsetting plans for a united opposition show against the state’s Bharatiya Janata Party government facing triple incumbency, was met with the same incredulous question by her prospective alliance partners like the Congress. In the Chhattisgarh case as in many others, Mayawati has proved that she is a master of political warfare. She knows her target, understands her place in the ecosystem in which she operates and uses the equivalent of a guerrilla attack to stun opponents and allies alike. There are usually several answers when it comes to explaining her actions. It could be said that her decision to join hands with Jogi came after prolonged talks with his party and should therefore come as no surprise. On the other hand, it could be described as grandstanding, to get a better deal from the Congress party that wants to bring her on board of a mahagathbandhan. 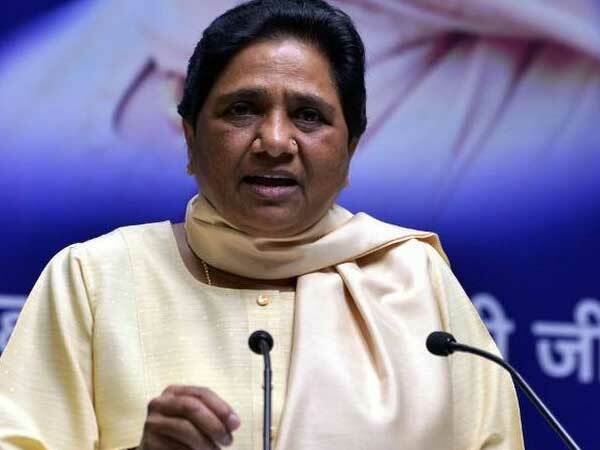 There is now the question whether she has opened a channel of communication with the BJP, which is likely to gain if Mayawati stays away from the mahagathbandhan. There are sound reasons to justify this. The BSP has been losing presence and vote share since it came to power in Uttar Pradesh in 2007 after winning 206 seats, its best show ever. It won 30.43 per cent of the votes at the time. In the next elections, in 2012, the seat count for the BSP in the state assembly dropped to 80 seats and a vote share of 25.91 per cent. In the 2017 elections that brought the BJP back to power, the BSP was a mere blip in comparison -– 19 seats and 22.2 per cent of the vote. That was also the election when her attempt at a Muslim-Yadav consolidation failed. It goes without saying that for her to stay relevant, she needs to either win seats or align with the predominant political formation. Meanwhile, her own position as the unquestioned Dalit leader has been undermined by the rise of firebrand leaders like Chandrashekhar Azad and Jignesh Mevani. Hence, the political justification to sup with the BJP. But Mayawati is also a politician with the memory of an elephant and never one to forget a slight. She has been chief minister twice in alliance with the BJP -– in 1995 and 2002. All those tenures ended in disarray, the second one within a year. That was after she went the distance in trying to keep the alliance and even campaigned for the BJP in the Gujarat elections of December 2002 on seats where she had not fielded her party candidate. Last year, she resigned her Rajya Sabha seat after not being allowed to speak on attacks on Dalits in Saharanpur. On that occasion, she was clearly taking aim at the BJP. That was a bit of grandstanding too because after the poor showing of the party in the assembly polls, there was a cloud over her election to the Rajya Sabha. Meanwhile, the BJP had taken her thunder -– first by eating into the non-Jatav Dalit vote comprising about 9 per cent of the electorate in Uttar Pradesh and then by making inroads into her core Jatav constituency that comprises 11 per cent of the vote in the state. The appointment of a Dalit president by the BJP is certain to have been troublesome for her for the message it sent out to the larger Dalit community, as has been the BJP’s attempt to appropriate Bhimrao Ambedkar’s legacy by building institutions and memorials to his name. In sum, Mayawati’s success in upcoming elections will depend on her ability to harness Dalit anger for which the target will be the BJP. Allying with the BJP will mean playing second fiddle to it, getting her neither the seats nor a central place on the big stage. She has to win seats to be back in business and give the BSP a voice inside the legislatures. She has been known to bounce back with some flair but she has her back to the wall this time. There is no denying that. It has been established that for the BSP, the interests of the party are merged with Mayawati’s interests. And it would seem that her place lies in the camp opposite to the BJP. However, if the mahagathbandhan were to take off, it would require the Congress party to play its game of political chess with the highest possible skill. Mayawati has shown that she can be a tough negotiator with the ability to spring a surprise at every turn. Under the circumstances, it matters little whether Congress president Rahul Gandhi has the gravitas to forge alliances and imbibe his mother Sonia Gandhi’s skills for building political alliances. If the purpose of the anti-BJP formation is to prevent a division of votes and reduce the possibility of a self-inflicted wound because prime minister Narendra Modi remains by far the single most popular leader in the country, it is necessary to get all opposition hands on deck. For Mayawati, she has to return to the basics. Her core competence is that of a caste leader and she needs to do those things that made her big -– highlight Dalit pride, protect them from caste-based violence and give Dalits a sense of entitlement to the power structure.